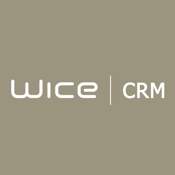 Wice CRM is the successor of Wice CRM-Groupware and can now be used on the iPhone. Access your full address database in realtime including all contact information as well as customer related document. You can send documents by mail or by fax right from your iPhone. Also, a full calendar synchronisation integrates your iPhone calendar in Wice and vice versa. Please note that you need access to a Wice CRM server to run this app.